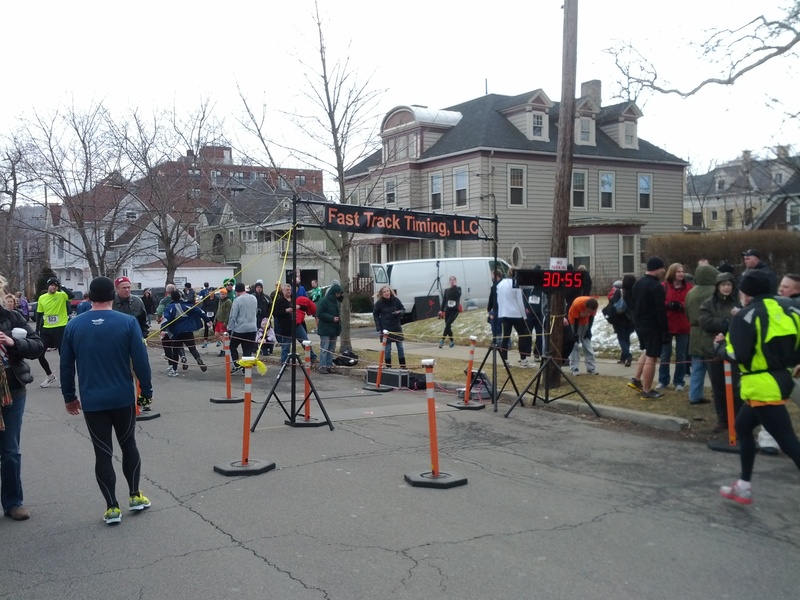 Home › Race Report › St. Patricks 4 mile race in Binghamton NY! 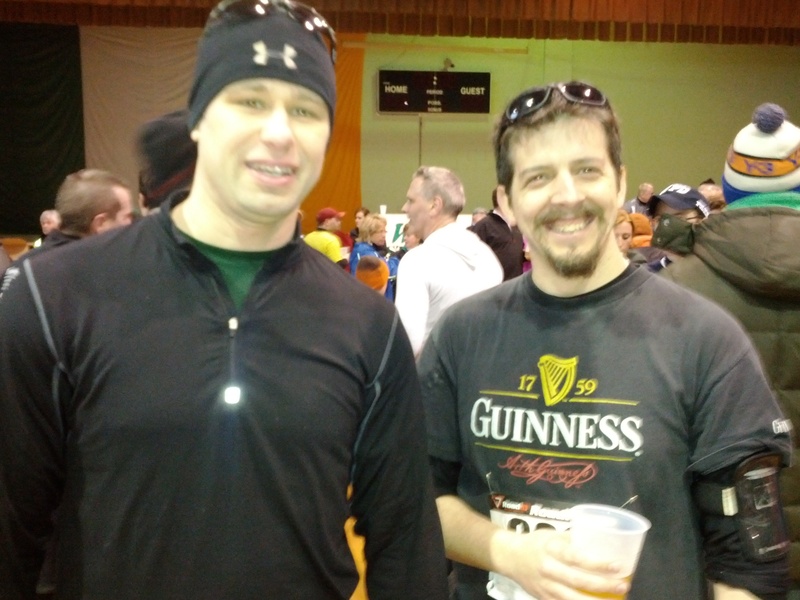 St. Patricks 4 mile race in Binghamton NY! Yesterday, I did my first “St. 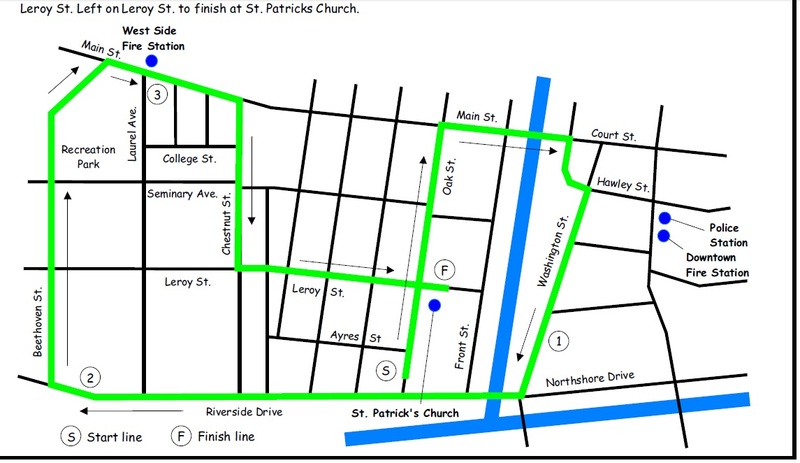 Pat’s 4 miler!” This a staple for runners in this area – with it being the 11th running of the race. Let me start by saying that it was COLD. We were running in 60 degree temperatures last week, and yesterday it was 24 degrees. Despite (or maybe because of?) the odd distance, it gets a great showing, with 697 runners showing up this year. I find this REALLY impressive, as it was pre-registrations ONLY. For those that know the Binghamton Area, I have included a map of the course above. Your standard cotton race shirt. 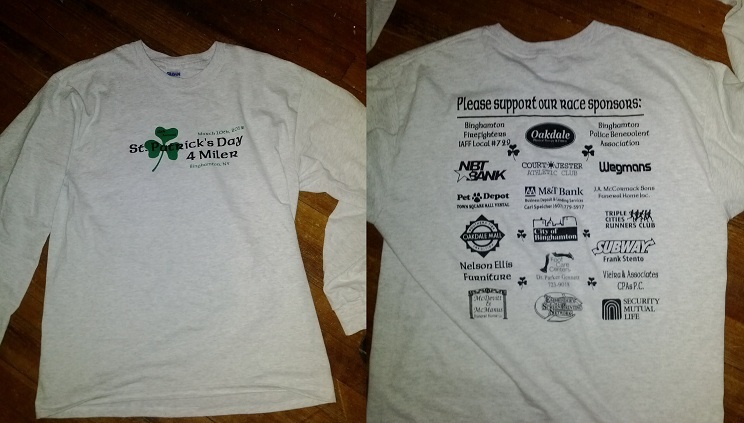 Luckily, I like the standard cotton race shirt. Especially long-sleeve ones! After getting the sign-in process completed, I stashed my coat (tough call on whether to wear it or not. Finally decided too cold was better than too hot), Chris and I headed out for a warm up job pre-race. As we lined up, I figured I would start running with him, and let him go around a mile or so in. He was aiming for “under-30,” and I was aiming for 35ish. The two paces didn’t strike me as all that compatible, though I thought it was worth staying with him at first – simply for old-time-sake. “Ready Set Go!” and off we went. Chris did indeed take off faster than I would have, as expected, which had the advantage of being nice and toasty before I had gone half a mile. Just past the mile marker I said my good-byes to Chris and slowed down. He got about 20-30 feet head of me and then he slowed down. All I could think was “…” (which was funny, as I didn’t know you could think that.) So, I sped up and caught him – which of course made him speed up. This was a wonderful sight! Especially since the timer was a 1:41 less! returned the favor by not letting him slow down for that last mile. With about 1/3 of a mile left- I picked up the speed just a bit (See Mr. Hyland? I am learning to have SOME sort of kick! It only took 20 years!) 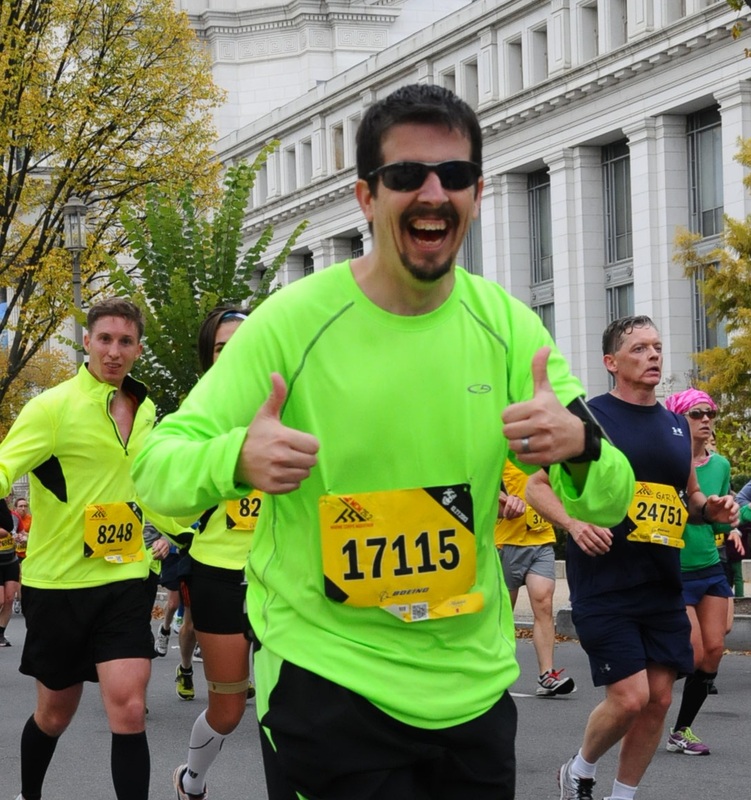 Chris caught up to me with ~400 meters to go – and blew me out of the water. 7:04??? REALLY???? WOOO HOOOO!!!!! I had a goal this running season of doing a 5k in the 21’s. That should definitely be possible! But I digress. Post-Race Party - shot with my phone's "Panoramic Mode"
This race has a great post-race party. The food included Pizza, Subs, Donuts, Pastries, Bananas, Chips and more. The drinks included Water and Beer (I don’t know if there was anything else – these were what I had!) Unfortunately, I couldn’t stay long enough to really enjoy it – as I had to run to my son’s Oddessy of the Mind tournament. Last night I went to an “injury-free running” seminar. More about that soon! ‹ Run like the Cylons are chasing you..